KATHMANDU, Dec. 6: A Japanese team of elderly has arrived here in connection with planting Sakura, the Japanese national flower. The Sakura is taken as a symbol of peace. The Japanese are planting their national flower in 35 cities in 23 countries to spread the message of peace, brotherhood and prosperity in the world. As many as 200 Sakura plants, each one and half feet tall, are to be planted at the National Martyrs Memorial Park at Gokarna this year to further strengthen the Nepal-Japan ties. Most of the people in the 12-member team from the Cherry Bloosom Association are above 60 years of age. The team has arrived in Nepal to further strengthen the relations between the two countries by planting Sakura in the villages here. Ambassador of Japan to Nepal Mashashi Ogawa said that since Nepal also has the suitable conditions for the Sakura plants’ growth, Sakura is being planted here with the objective of spreading the message of peace. 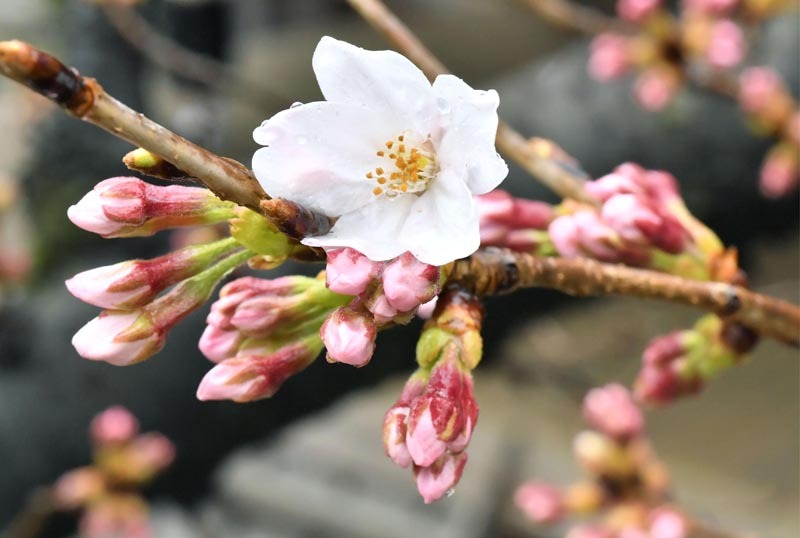 Joint Secretary at the Ministry of Agricultural Development, Hemlal Aryal said preparations were being made to plant the Sakura in the Chure region as well. Deputy Mayor of Kathmandu Metropolitan City, Hari Prabha Khadgi Shrestha said the Japanese campaign of planting Sakura would contribute to adding to the greenery in Kathmandu valley. She added that the KMC would support the Japanese campaign of spreading the message of peace. Matsuzawa Hirobumi of the Association who is providing technical support for planting Sakura in Nepal said the programme would be extended to other parts of Nepal from next year based on how well the Sakura plants planted this year fare in the coming days.